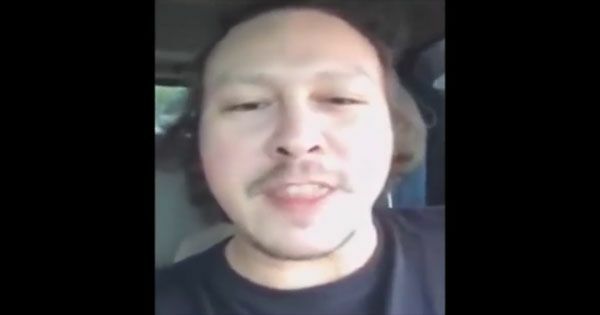 In a new video, character actor Baron Geisler apparently challenged President Rodrigo Duterte to have his son, Baste, undergo a drug test. The controversial movie and television artist is a vocal critic of the new administration. In a previously released video, he ranted about the alleged extra-judicial killings and slammed the President saying his war against illegal drugs are anti-poor. He reportedly advised the Chief Executive to go after drug lords who are considered "big fish" instead of small-time drug pushers and users. This time around, Baron issued a challenge to an individual, whom he called "your son," to undergo any kind of drug test with him anytime. The actor, who is said to be alcoholic, did not actually name Baste but netizens believe that he was referring to the presidential son. Baron also asked Duterte about what he will would do if Baste would test positive for drugs. His video already got nearly a million views on Facebook as of 3 p.m. today. According to the Mocha Uson Blog, someone has accepted his challenge. Was it Baste?